I get bored quickly. Of everything. Books, technology, tv shows, even food. Well, not really food who am I trying to fool. I do, however, have to always think of new things to try so that I stay interested in food. We all want variation in our life. 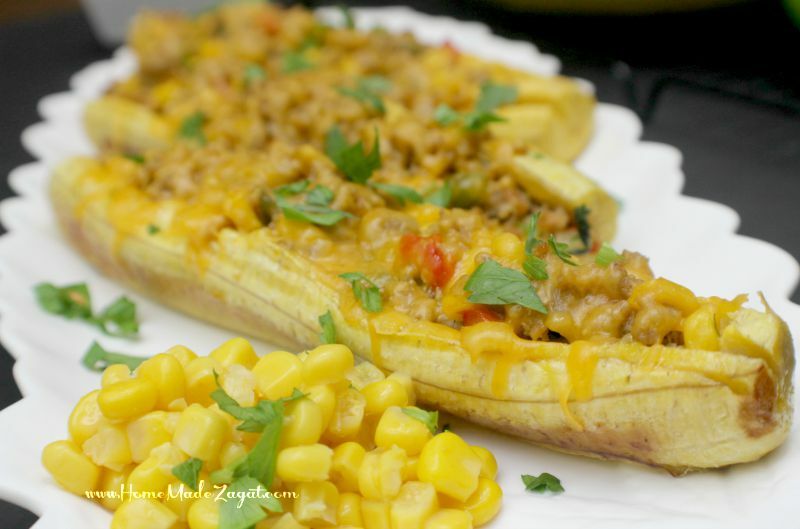 So today I bring you some latin inspired plantains stuffed with minced turkey. How's that for variety? 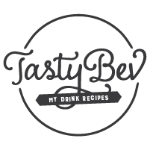 I started this blog because I wanted to cook more and wanted to keep track of some of the new foods I learned to cook actually. And I'm very happy to be adding this my repertoire. Ripe plantains are amazing and a Caribbean and Latin American household staple. The cousins of bananas they are sweet, and can be eaten at different stages of ripeness, which can be detected by the color of the skin. 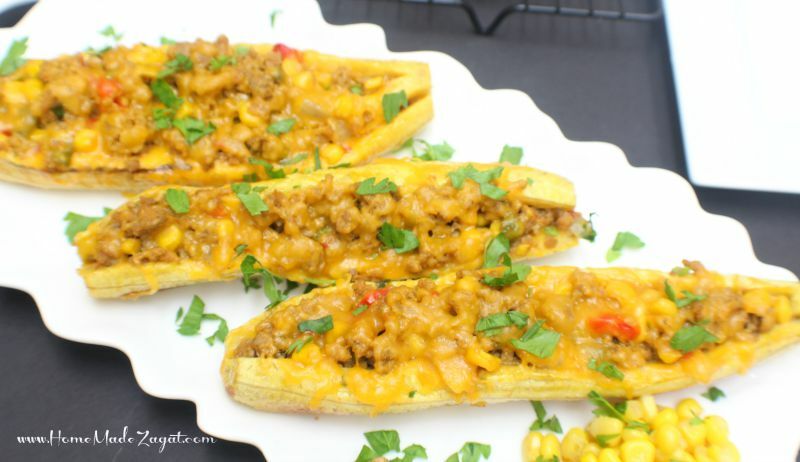 For this dish, I used those that already had dark spots. The darkest one was already getting soft, but I know for sure it was going to be sweet and would be good with the savory meat mixture. 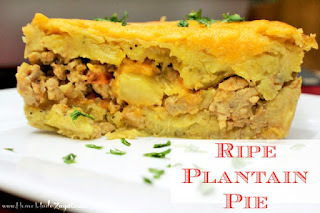 Plantains are very easy to work with. We need to get them baked so they need to be peeled. 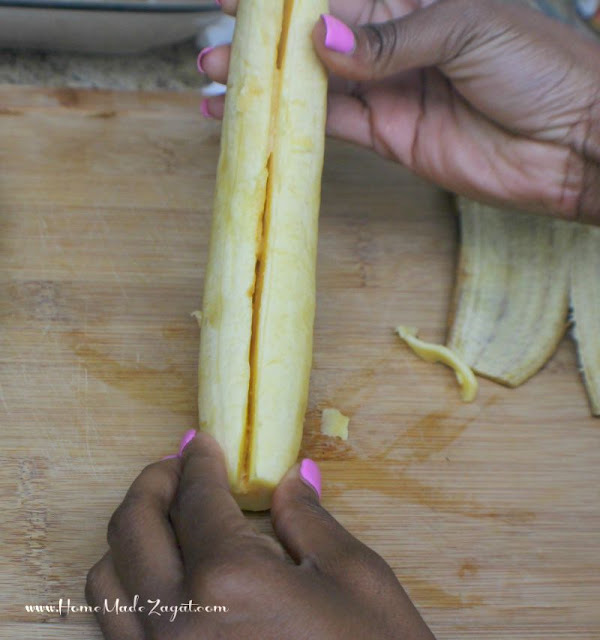 Cut the ends of from both ends of the plantain and pull the knife down from one end to the other. Not cutting through to the other side. 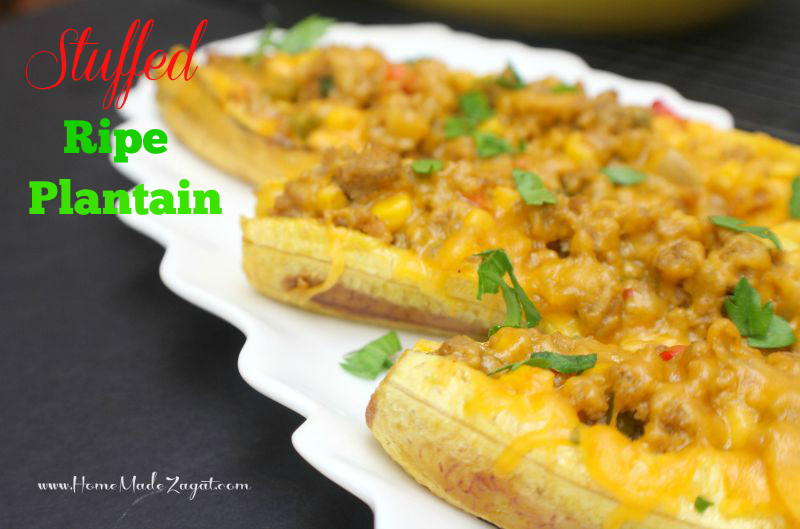 Repeat on all the plantains you have. Once complete put to bake for 30 minutes. Cooking the meat is pretty easy. 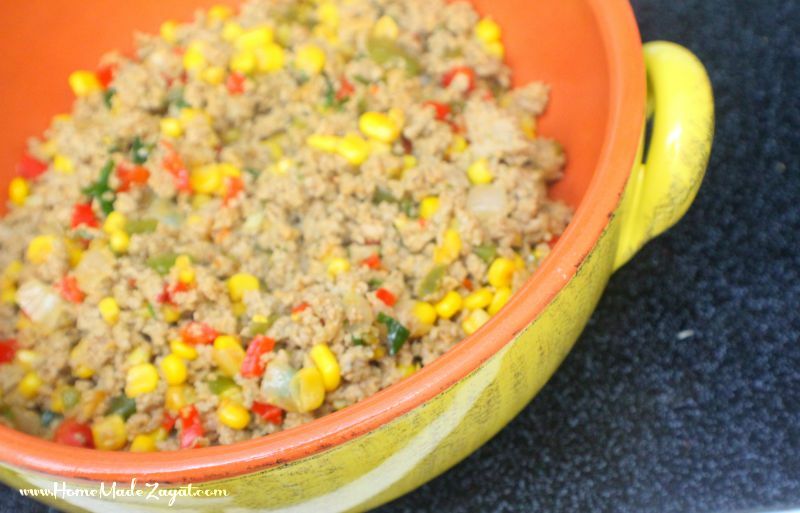 Onions cooked in oil till translucent, add turkey along with bell peppers, corn, black pepper, salt, red pepper flakes, bay leaf and some nutmeg. Making sure there's no liquid when the meat is finished. The plantains are now done and the meat is cooked. 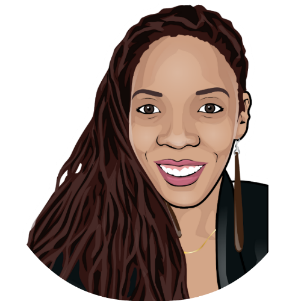 You are more than likely going to have more meat than needed for the plantains (unless you are using more than 3 plantains). The meat mixture can be easily frozen. 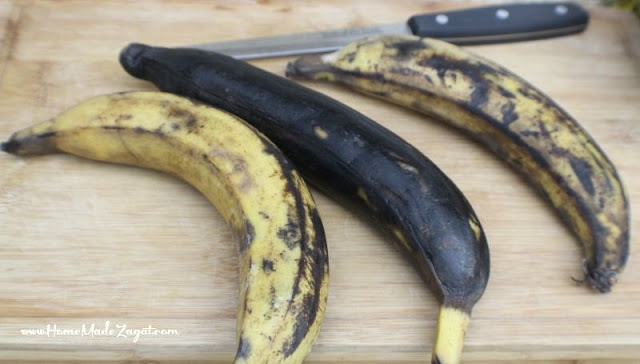 Leave the plantains to cool a bit so that you can hold them and not get burned. Before trying to stuff, open the slit in the plantain a little wider so that there is room for the meat mixture. 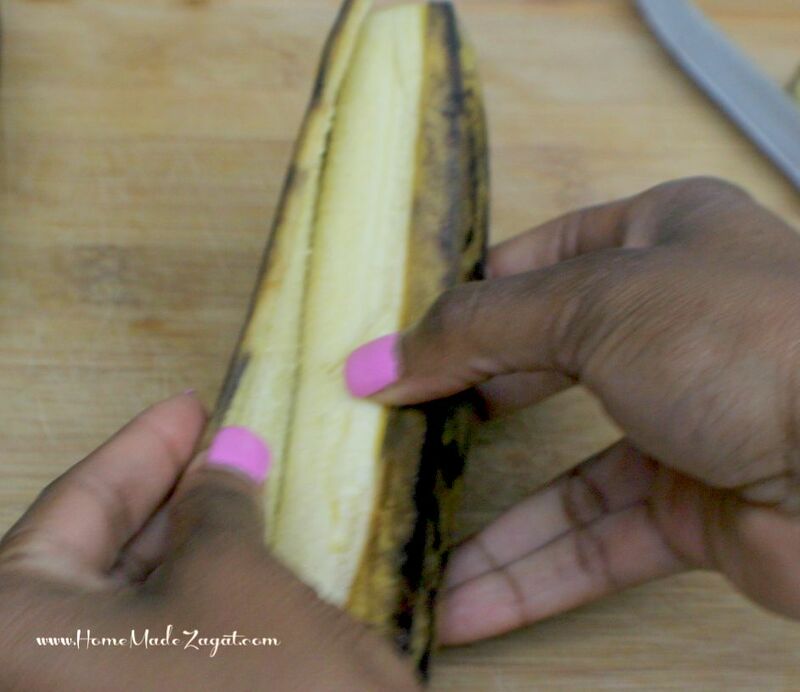 If it's too small you can cut out a wedge of the plantain so that there is enough room. Add meat to the cavity. 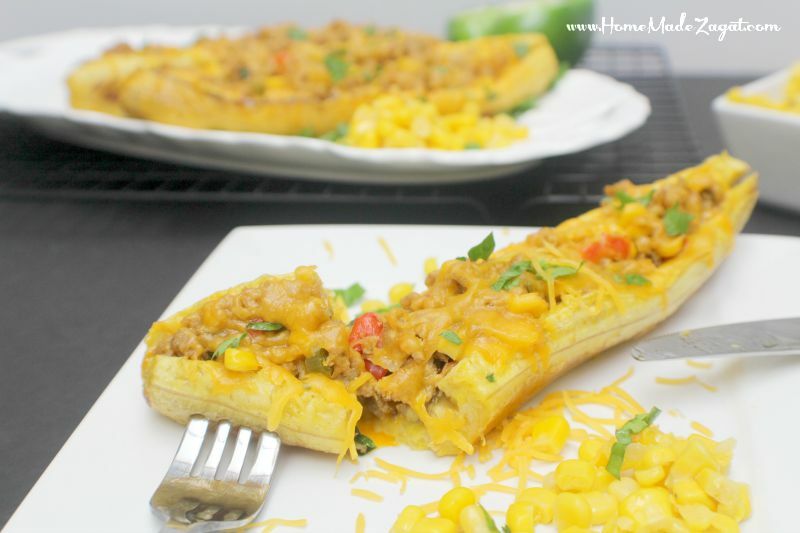 Then you're ready to dive into these sweet plantains layered with savory meat mix and covered in oh so gooey cheese. Variety surely is the spice of life.